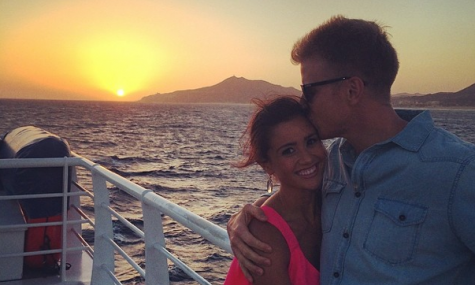 The Bachelor stars Catherine Giudici and Sean Lowe celebrate the four year anniversary of their celebrity marriage today! Giudici shares some secrets to EOnline.com about maintaining a great marriage over time: “I think I have learned better patience when it comes to our marriage and that rage is kind of a waste of time. I’ve been slower to anger when I remember how much Sean loves me and better at explaining how I feel. At least I hope!” Giudici goes on to exclaim that Lowe is the “best thing that has happened” to her. Best of luck in the future for this celebrity couple! This Bachelor celebrity marriage is still going strong! What are some ways to continuously work on your marriage? 1. Give complements to your partner and to yourself: Take time to give honest complements to your partner when you feel as they deserve the recognition. Don’t be shy to tell your partner that you really did appreciate the simple action that they did of pulling out your chair for you at the dinner table and let them know how much you admire their kind soul. In addition, don’t forget to complement yourself on how caring you are in your relationship! It may sound silly but look in the mirror and complement yourself on the efforts you have made in your marriage. 2. Take time to look into each other’s eyes: Umm… what? Yes- licensed marriage and family therapy experts have proven that looking into your partners eyes strengthens emotional intimacy that may be lost otherwise. Take time to remind yourself of the overwhelming love that you have to give to your partner. 3. Keep the curiosity: Treat your partner as if you have just met- don’t hesitate to ask questions about their day, or about their past, or just about them in general. There is always more exciting things to learn about your soulmate- it’s not like the journey just stops when you get married, it is really just the beginning. How do you continuously work on your marriage? Comment below!